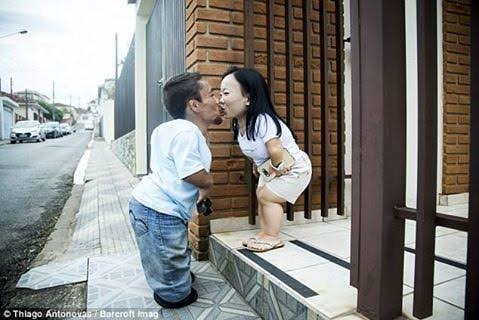 Paulo Gabriel da Silva Barros and Katyucia Hoshino both measure less than three feet tall making them the world’s shortest couple. 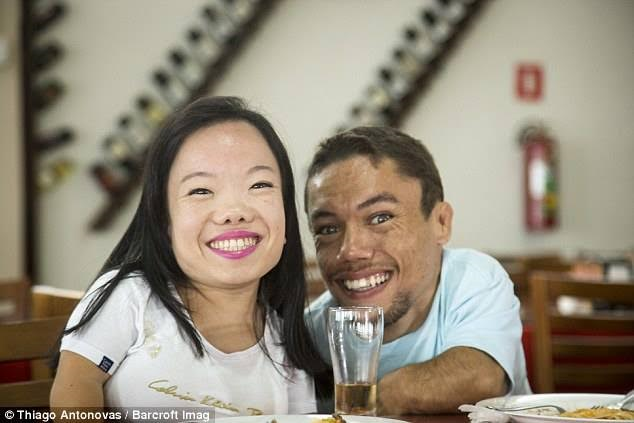 The couple from Brazil who have proved that size doesn’t matter when it comes to love both have forms of dwarfism and stand at 34.8in and 35.2in respectively. 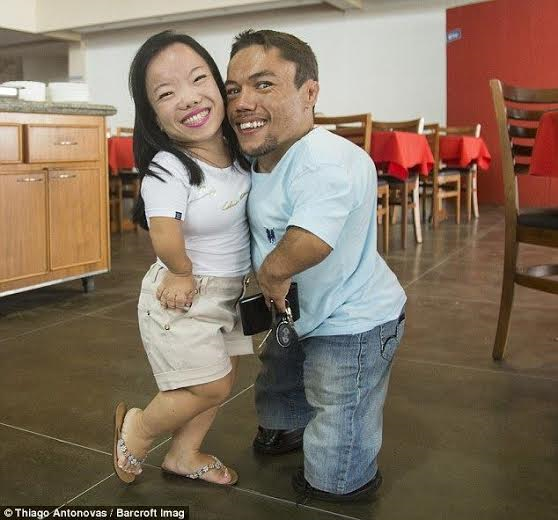 Both say they have faced discrimination for their size and have been pointed and stared at in the street – with passers-by openly laughing at their stature. 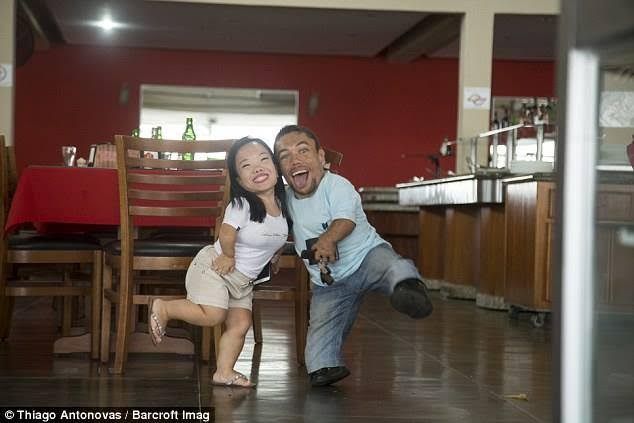 The pair, who hopes to enter the Guinness Book of World Records, said they met on a social media website ten years ago and started chatting on MSN Messenger. 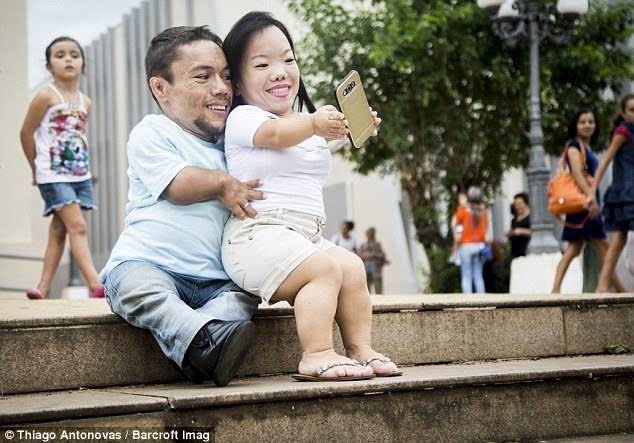 The couple hopes to get married and have children in the future – although it may be difficult for Katyucia to carry a baby full-term because of her size.